This year’s Toronto International Film Festival had one of the most exciting lineups in years. From popcorn crowd-pleasers to poetic adaptations, there was a lot to love — and thankfully, not too much to hate. I’ve already covered many of the biggest titles that landed at TIFF this year: Steve McQueen’s Widows, David Lowery’s The Old Man and the Gun, Barry Jenkins’ If Beale Street Could Talk, Damien Chazelle’s Bradley Cooper’s and David Gordon Green’s Halloween sequel (and let us not forget Chris Pine’s junk). You can read full reviews of each of those at the links above. But there was also so much more. The festival brought us Melissa McCarthy’s first dramatic role, new sad boy dramas starring Lady Bird’s boyfriends, the latest from director Karyn Kusama, another unhinged Elisabeth Moss performance, and a Gaspar Noé fever dream. Read on for three of my favorite surprises and three that left me disappointed. Gaspar Noé is the type of filmmaker that I both love and hate; at his best, his films give me an out-of-body experience unlike anything else, and at his most repulsive (you know the scene) and narcissistic (Love), I roll my eyes. The provocateur loves to shock and dazzle his audience with explicit sexuality, grotesque violence, and eye-popping visuals, and his latest feature offers all of that. Climax is part mesmerizing visual feast, part horrific nightmare, and it’s the most thrilling cinematic experience I’ve had in a theater all year. The premise is simple: a group of French dancers throw a post-rehearsal party where they realize the Sangria punch has been spiked with LSD. Noé unabashedly pays homage to Suspiria and Possession in Climax, so obviously you can spot VHS tapes of both in the opening shot. The next sequence is one long, continuous take of the dance troupe’s rehearsal, full of all the death drops, vogueing, and krumping you could dream of — the dancing in this movie, all performed by real-life dancers including a better-than-ever Sofia Boutella, is so phenomenal I could watch it on a loop for hours. Then the acid hits and everyone begins to lose their damn minds. It’s exhilarating and deeply disturbing, terrifying and wickedly funny; I was covering my eyes in horror one moment and laughing in the next. It’s a demented fever dream that perfectly captures that love-hate relationship I have with the Argentinian director. Climax hits theaters on September 28. Melissa McCarthy recently starred in the worst movie of the summer, and now she’s in one of the best surprises out of TIFF. Can You Ever Forgive Me? tells the true story of Lee Israel, an author who became known for pretending to be other writers. Written by Nicole Holofcener and directed by Marielle Heller (known for the excellent The Diary of a Teenage Girl), the film stars McCarthy, in her first dramatic role, as Israel. Set in the late 1980s, Lee is a biographer struggling to pay rent and drowning in vet bills, so she starts writing fake letters and forging the signatures of names like Dorothy Parker, Noël Coward, and Eugene O’Neill. Local collectors fall for the scheme, and Israel soon becomes hooked on the flourishing success, penning more forgeries that eventually grab the attention of the FBI. But those letters aren’t just an easy meal ticket; for McCarthy’s Lee, they’re an expression of her own creativity, a way of showing her wit while hiding behind the voices of others. 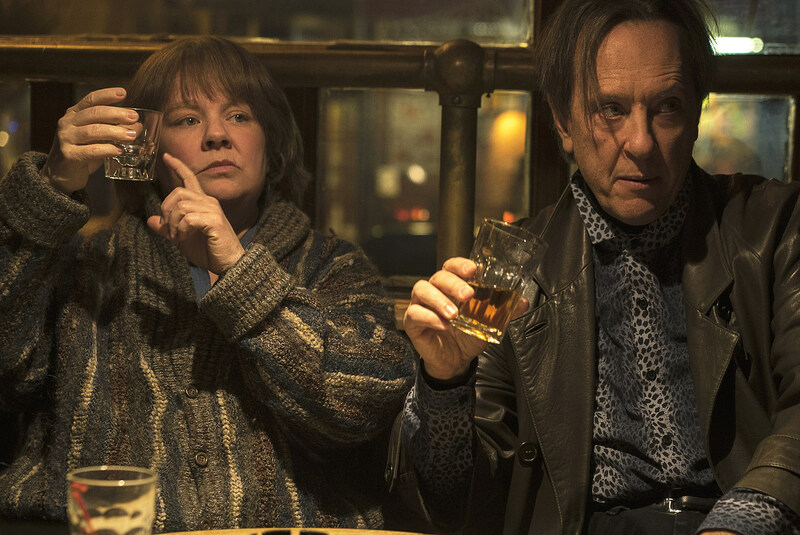 McCarthy gives an exceptionally moving performance — easily one of her best yet — that brings humanity to a stubborn woman whose potential alcoholism and emotional coldness make her hugely unlikable. The real heart of the movie are her scenes opposite a wonderfully warm Richard E. Grant, playing another lonely, queer soul wandering the streets of New York City. I could watch the two of them toss drunken insults at one another and chuckle inside Manhattan’s Julius bar for hours. Can You Ever Forgive Me? is as charming as it is melancholic, and it hits on some poignant notes about the bitter realities of being a writer. We all want to see our words published, but Israel’s story understands the insecurities and vulnerabilities that can haunt even the best of us. Can You Ever Forgive me? hits theaters October 19. This year’s TIFF lineup was all about female pop/rock stars. While the Lady Gaga-led A Star Is Born is the biggest crowd-pleaser and the Natalie Portman-starring Vox Lux is the most divisive and cynical, Alex Ross Perry’s Her Smell features the most unhinged lead performance. Elisabeth Moss, at her most deranged since Perry’s Queen of Earth, plays Becky Something, the lead singer of a famous all-female punk rock band. Perry loves telling stories about detestable characters, and Becky may be his most fascinating yet. We follow her down a vicious spiral of self-destruction — one fueled by alcohol, drugs, and a savage desire to tear down any and everyone in her path. It’s another shining example of Moss’ range, and here she gives an almost-parodic though undeniably captivating performance of an unbridled musician, a woman undone by substance abuse and the demands of her punk persona. The casting is also excellent, including a great Agyness Deyn and Gayle Rankin (GLOW) as Becky’s bandmates, Amber Heard as an uber-cool indie rock darling, Cara Delevingne as a shy punk, and so many more. The dizzying, chaotic cinematography by Sean Price Williams (Good Time) and menacing score from Keegan DeWitt (Listen Up Phillip) add a pulsing electricity to film. It’s a wild, uncomfortable ride, and one that arrives at more emotional places than I expected. Her Smell has yet to get an official release date. 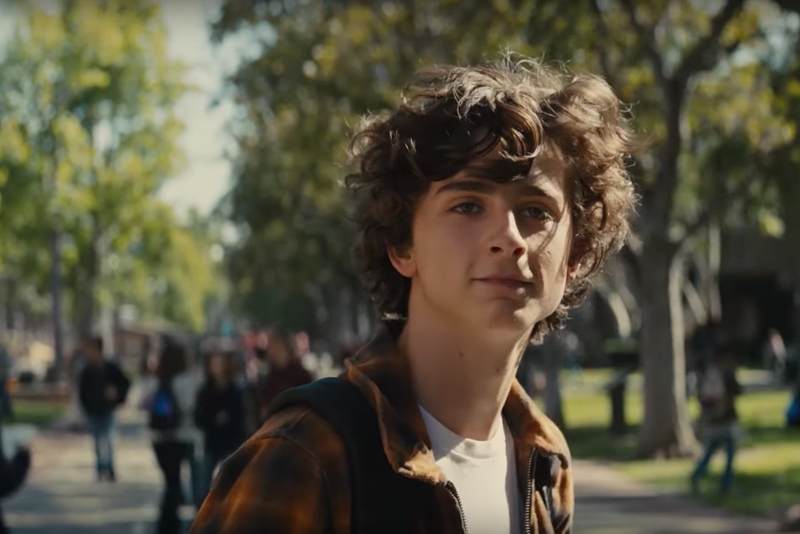 Based on the trailer for Timothée Chalamet’s next movie, Beautiful Boy looks like a conventional tearjerker about addiction (a big theme at TIFF this year); however, the Amazon movie is surprisingly anything but. Instead, Danish filmmaker Felix Van Groeningen (The Broken Circle Breakdown) takes a more abstract approach to the true story about a young man struggling with meth addiction. In a lot of ways, I appreciate the non-linear style and Groeningen’s choice to sidestep the typical histrionics so many stories of substance abuse lean on, but it also left me cold and frustrated. Adapted from two memoirs written by father and son David and Nic Sheff, the film stars Chalamet as Nic (plus a trio of younger actors playing him at earlier ages) and Steve Carell as his father. The film’s loose structure hops through both characters’ memories via flashbacks. It recalls director Jean-Marc Vallée’s ASMR-like style, but unlike the way Vallée evokes the pernicious effects of trauma by weaving together time and memory (most recently in HBO’s Sharp Objects), Groeningen’s film is far too distant from its subjects. He attempts to put us inside their heads, but the film instead feels like watching a slideshow about a family we’re never invited to get to know; a collection of loose vignettes that don’t add up to much. Chalamet gives a good performance, further proving he’s excellent at shedding tears onscreen, but I never once felt connected to his or Carrell’s characters. Beautiful Boy hits theaters October 12. A female-led crime thriller from Karyn Kusama (The Invitation, Jennifer’s Body) that stars Nicole Kidman sounds like everything I’ve ever wanted. But Destroyer is a movie I walked out of and immediately tried to convince myself I liked, ultimately realizing it doesn’t entirely work. A completely transformed Kidman plays tormented detective Erin Bell in the grimy L.A.-set crime drama. If anything, Destroyer gives us a much-needed portrait of a bruised and broken female cop in a genre that’s been dominated by men. Kidman gives a ferocious performance as a cop who’s thrust back in time when a crime scene reminds her of an undercover operation from her past. But that performance, and all the badassery that comes with it, is unfortunately in service of a messy, fragmented story that doesn’t land with the emotional impact for which it aims. With a less drawn-out finale and a sharper examination of its lead character and her motivations, it could’ve been something special. Destroyer hits theaters December 25. Based on the memoir by Garrard Conely, Boy Erased gives Lucas Hedges his first lead role as Jared, an Arkansas college student outed to his pastor father (Russell Crowe) and timid mother (Nicole Kidman). He’s enrolled at a gay conversion program led by Joel Edgerton’s Victor Sykes, a man who claims his own homosexuality was “cured.” The story goes exactly where you expect it to, which is fine, but the real issue is how Edgerton, who also directs and adapted the screenplay, fails to give this story the powerful weight it deserves. No one in the movie feels like a fully-formed character, and I left wishing there’d been more investment in the other kids in the program, who are some of the most interesting. While Hedges does solid work, the material doesn’t give him the chance to dig into the interiority of Jared’s experience. We see so many things happen to him, but so little time is spent understanding the damaging effects of it all and the shame around his sexuality. The best scenes are flashbacks of Jared struggling with and beginning to embrace his queerness, including a sweet night spent with an art student, but those moments are too fleeting to make up for the rest. It’s a harmless movie, but sadly one far too afraid to pull back the layers of such an important story. Boy Erased hits theaters November 2. See all of ScreenCrush’s coverage from the 2018 Toronto International Film Festival here.